This week’s reviews begin with Ben-to, a show which I’ve now upgraded to Blu-ray thanks to a timely import. There are plenty of fighting shows out there, but when you give the protagonists a daft reason to fight, then you can instead have a pretty good comedy on your hands. Ben-to is about the martial arts expended in obtaining cut price pack lunches, and this second time around, I found it even funnier. Click on the review to see how much of a difference high definition makes to the show. 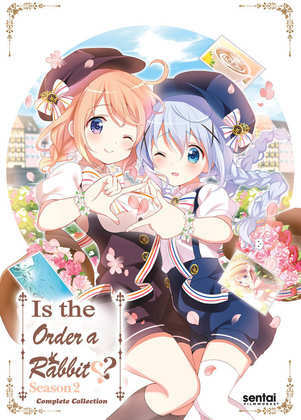 Last week I took a look at Is The Order a Rabbit?, and this week it’s the turn of Is The Order a Rabbit? ?, the sequel series. You can tell it’s the sequel as it has an extra question mark. It’s more of the same really, a slice of life show that sees a school girl transfer to a town where there is a serious rabbit motif. Cute girls do cute things, not much of narrative significance occurs, and it’s all meant to make the viewer generally feel good about the world and themselves. It’s just that I didn’t find this show to be particularly good at that. Finally, a new UK release! Armed Girl’s Machiavellism is MVM’s first anime release for 2019, and they’re playing it somewhat safe with a show that appeals to the mainstream anime fanbase. Yes, it’s a fan service show. A boy transfers into a recently turned co-ed school, where the majority female students pre-emptively emasculate male students to preserve their little portion of tranquillity. They do this as they are sword-wielding martial arts masters. Only this boy isn’t going to toe the line. 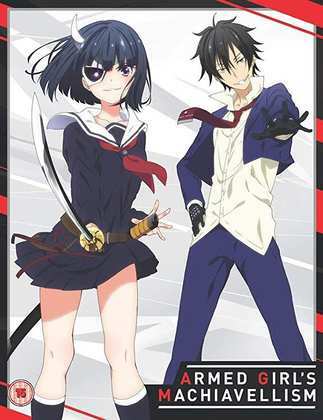 Armed Girl’s Machiavellism blends harem comedy and fighting action to entertaining effect for the most part. Devil May Cry. Four times! I find that four times is the limit for this show. I loved this video game adaptation to anime the first time I saw it when I reviewed the DVD, and a re-watch of that didn’t change my opinion, so much so that I bought the Blu-ray as well. It’s based on the game of the same name, which sees a group of demon hunters fighting evil in a film noir style. From Studio Madhouse the show certainly looks a treat, but this fourth viewing really reveals the style over the substance, the wafer thin characters, and the narrative that relies so much on video game conventions. This time around, I’m watching episodes over two days, revisiting the end of an episode the following day, as I fall asleep in the second half. 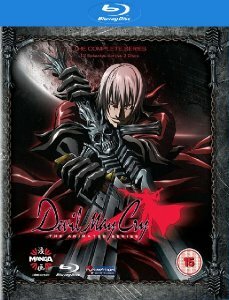 You’re going to have a bit of hassle trying to find Devil May Cry now, especially on Blu-ray, as it’s been deleted in the UK. Here's my review. The US Blu-ray is Region A locked, while the Australian release is also deleted. You’ll probably have better luck with the DVD, and either way, second hand is your best bet. Funimation released Ben-To on their S.A.V.E. 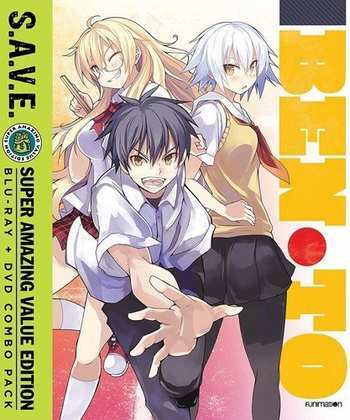 budget label back in 2017 as a BD/DVD combo, Sentai Filmworks released Is The Order a Rabbit?? on Region A locked BD, and on Region 1 DVD in 2017, while MVM release Armed Girl’s Machiavellism as a Collector’s Edition Blu-ray on the 4th of February 2019.